With the much-awaited FOMC statement only a couple of hours away, my eyes are on these two forex major pairs. What’s on your watchlist? First up is this short-term trade on EUR/USD. The pair could not be in a better place for a long trade if Janet Yellen and her gang end up saying anything to weigh on the Greenback. It’s currently bouncing from the 1.1050 minor psychological area, which lines up with a rising channel support and a retest of the 100 SMA. Not only that, but Stochastic is also about to hit the oversold area! 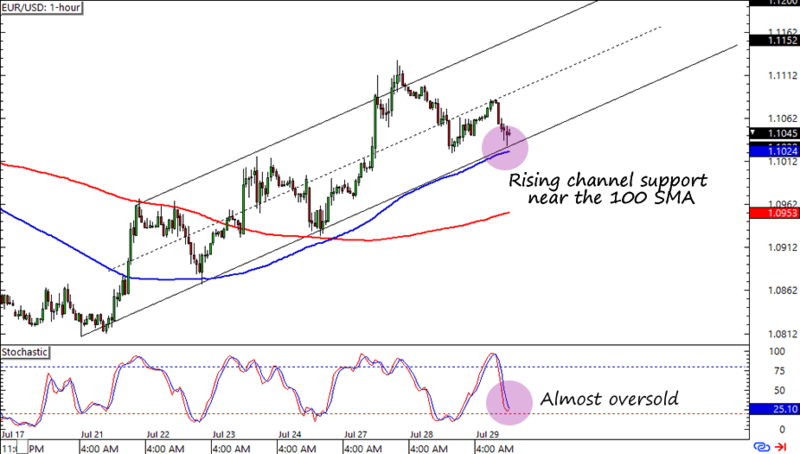 A stop just below the channel and SMA levels could be a good trade idea if you’re expecting the pair to pop up today. If you’re like me and you’d like to be a bit more sure about your entries, then this one’s for you. USD/JPY hit a resistance just above the 124.00 major psychological area and it looks like it’s headed to the 122.50 mid-range support. The level has held as an area of resistance since late May, so other yen bulls and bears may be watching the area too. If you’re expecting volatility around the release but is ultimately a dollar bull like I am, then you’ll definitely love this setup! No trading plans for the FOMC statement yet? 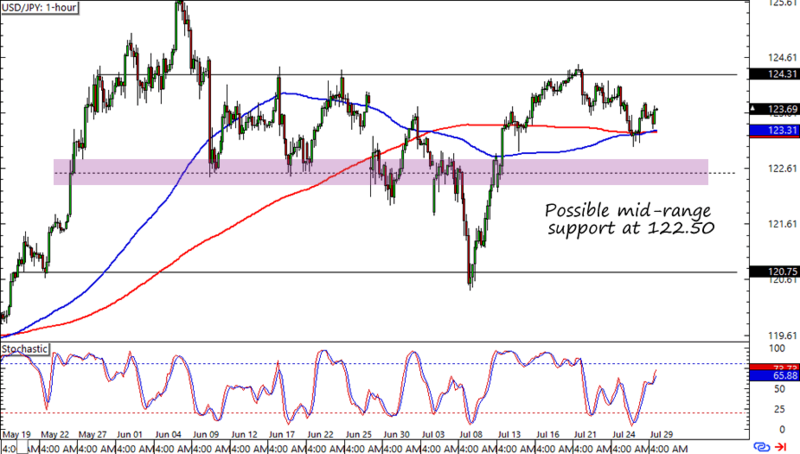 Read Forex Gump’s piece on what to expect from the FOMC statement and see if you can get ideas!